The World of Gord: Book Review - "Don't Tell The Newfoundlanders"
Book Review - "Don't Tell The Newfoundlanders"
My dad's parents were both Newfoundlanders and came to Canada sometime before 1921 (Teena found that they were married and living in Toronto in a 1921 Toronto census. One day I hope to have an exact date they came over). It sounds a little funny now to say that somebody came to Canada from Newfoundland but remember Newfoundland was not part of Canada then. Yes, there is Newfie blood running through my veins. It is because of this that I always read when something about Newfoundland hits the news. I never really thought much of how Newfoundland came into Confederation, except that they held a vote, becoming a province of Canada won and on March 31 (my birthday) 1949, they became the country's 10th province. Don't Tell the Newfoundlanders tells the true story of how Newfoundland came to join Confederation. The true story, drawn from official documents and hours of personal interviews, of how Newfoundland and Labrador joined Confederation and became Canada''s tenth province in 1949. A rich cast of characters--hailing from Britain, America, Canada and Newfoundland--battle it out for the prize of the resource-rich, financially solvent, militarily strategic island. The twists and turns are as dramatic as any spy novel and extremely surprising, since the "official" version of Newfoundland history has held for over fifty years almost without question. Don''t Tell the Newfoundlanders will change all that. This is a fascinating book about the years of wheeling and dealing between Great Britain and Canada about how to move Newfoundland into Canada. The title of the book says it all. All the dealing between the two countries was done without Newfoundland's knowledge, in behind closed door meetings and top secret communications. Entire communications of these top secret documents are used in the telling of this story. It surprised me how many letters started with the words "Top Secret". 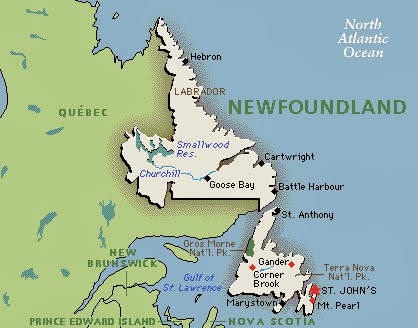 Although it had its own government during the 1800s, Newfoundland was still considered a colony of Great Britain. In 1907, Newfoundland was granted Dominion status. Due to a severe debt load caused by loans taken during World War I to fight for the British Empire and the world wide great depression, Great Britain made a deal to extend credit to Newfoundland on the basis that Newfoundland would lose its government and control over its own destiny and once again become a colony of Great Britain. The people of Newfoundland lost their power to vote and had to depend solely on the decisions made by a "Commission of Government" and its governor, solely appointed by Britain. From 1933 'til the moment in 1949 that it came into Canada, there were no elections in Newfoundland. 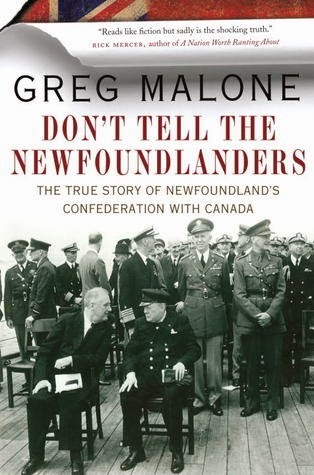 Don't Tell the Newfoundlanders tells the story of how both England and Canada used this lack of government to their advantage to come to a great deal for both countries and a bad one for Newfoundland. I know Newfoundland has had a raw deal in many areas with Canada. Its hydro deal with Quebec and Canada's supporting Quebec in this has always rubbed me wrong but the end of the book tells much more. The last chapters deal with the vote itself in Newfoundland's referendum to bring Newfoundland into confederation or to bring back responsible government. Confederation won by a narrow 52% to 48% margin, but the author, Greg Malone, puts forth a case that the vote not only was rigged but responsible government actually won and the people were lied to. This part was a little too "conspiracy theory" for me but he makes not too bad of a case. This is a very interesting book that I learned a lot from. 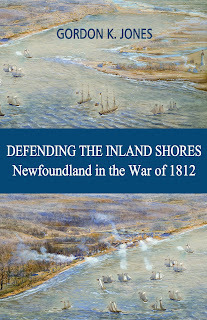 It's definitely worth a read and should be mandatory reading for Newfoundlanders and their descendants. You have me intrigued by his conspiracy theories. Actually, I wouldn't be shocked or surprised either way. Am I correct in assuming Smallwood doesn't come off in the most flattering of lights? Actually Joey comes off well as a great campaigner and spokesman for Newfoundland to join Canada. He is one of the few pro-confederation people that Malone doesn't have much of problem with.